Bodytek our revolutionary total body workout program which is designed to significantly improve your fitness level through High Intensity Interval Training or (HIIT). 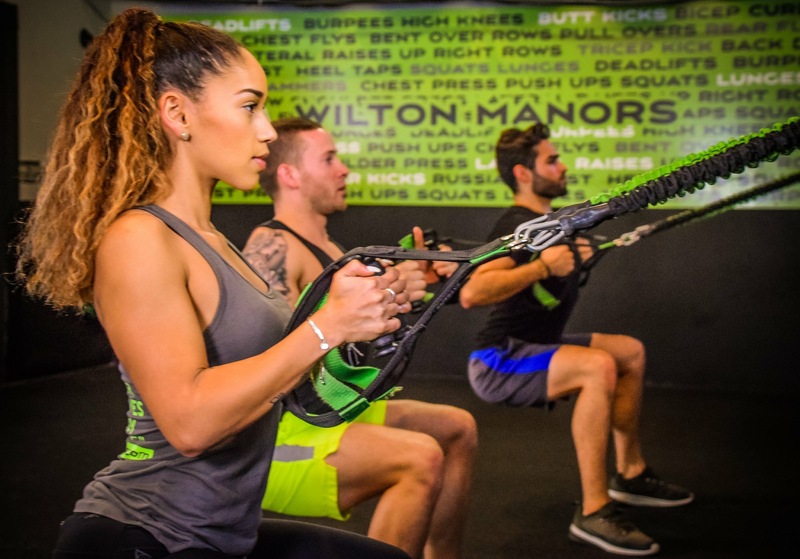 All classes are structured on group fitness training and no two classes are ever the same. We welcome clients of all fitness levels to participate; from the beginner to an expert, every client can be challenged. Our highly skilled instructors provide personalized guided assistance to ensure clients achieve their personal fitness goals. Experience The Total Bodytek Workouts . 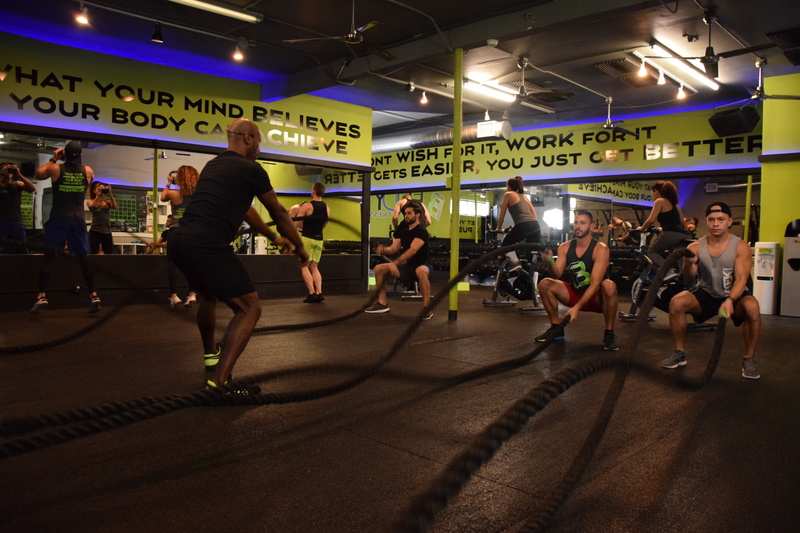 Each class is based on High Intensity Interval Training, or H.I.I.T. 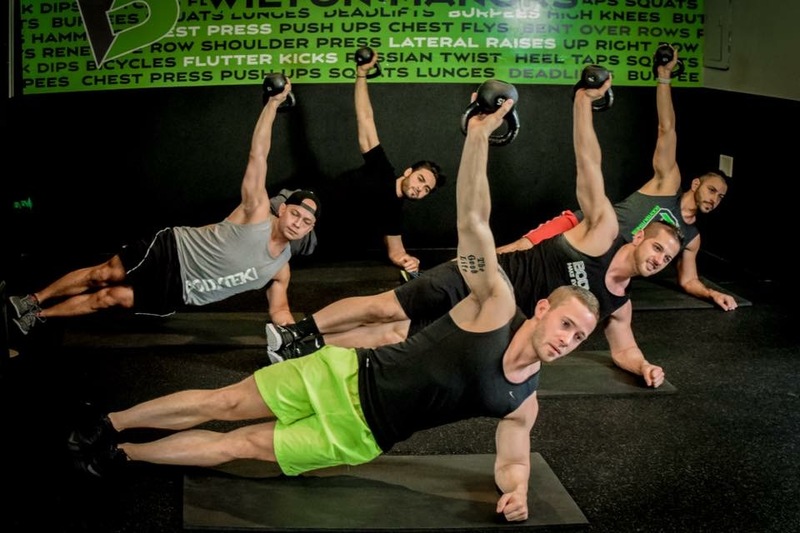 This style of circuit training, with constantly varied functional movements, ensures a high calorie burn – typically up to 1000 calories burned per class. Every session incorporates varied strength building techniques, explosive hybrid exercises and compound movements, with minimum breaks in between to stimulate your heart muscles and in turn, improve your stamina. We use a variety of equipment like sparcs, rowers, spin bikes, kettle bells, resistance bands, stability balls, free weights and more. We promise you will never repeat the same workout and you will never be stuck on a treadmill for 25 minutes. Most of our clients see improvements in their endurance, strength and flexibility after just one workout. 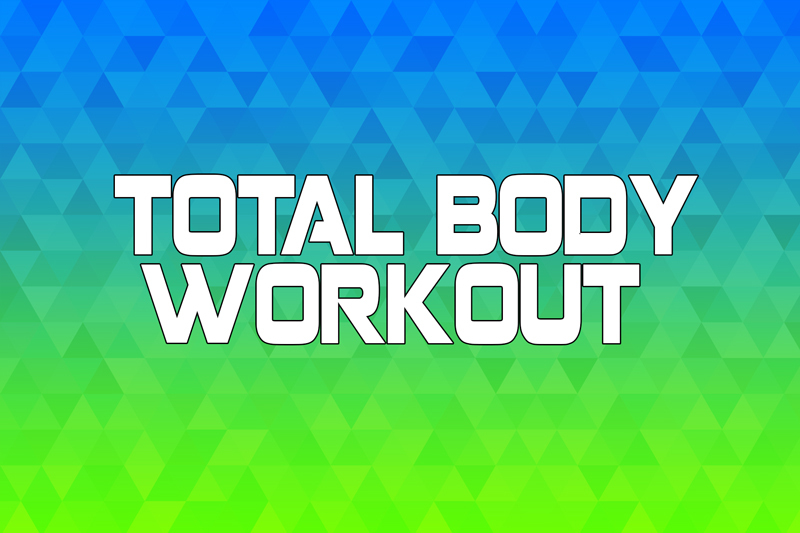 Challenge yourself with our 90 minute Total Body Workout that will target your entire Body. 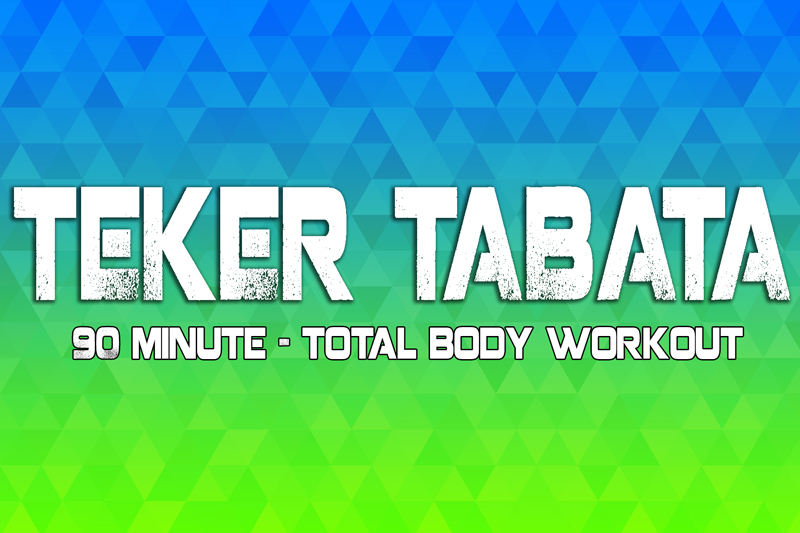 Each Teker Tabata 90 Minute workout is based on High Intensity Interval Training, or H.I.I.T. A new approach to the traditional Tabata. Our Tabata in the style of circuit training, with constantly varied functional movements. ensures a high calorie burn – typically up to 1000 calories burned per class. Every session incorporates varied strength building techniques, explosive hybrid exercises and compound movements, with minimum breaks in between to stimulate your heart muscles and in turn, improve your stamina.We use a variety of equipment like treadmills/sparcs, rowers, spin bikes, kettle bells, resistance bands, stability balls, free weights , & more. We promise you will never repeat the same workout and you will never be stuck on a treadmill for 25 minutes. Most of our clients see improvements in their endurance, strength and flexibility after just one workout. Great gym with a very positive atmosphere and trainers. Very nice twist on everyday workouts with great uplifting music to keep you going. 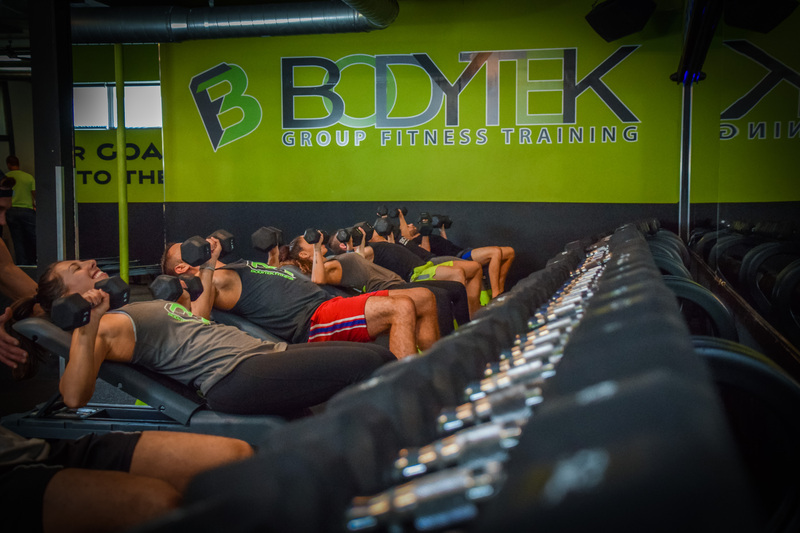 Stop by and see for yourself why Bodytek was voted Florida’s number 1 gym. Love this place. All the trainers are amazing and really motivate and push you to be your best self. Environment is not intimidating at all and all fitness levels are welcome. 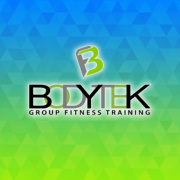 Very fun and music is great, and they just expanded….Love Bodytek, it changed my perspective on how great fitness and exercise can really be. Totally recommend this place. Bodytek Fitness is by far on of the best workouts around. I started working out there in Jan 2013 weighing 147 pds and a total of 35% body fat. Now in May 2013 I weigh 131 and my body fat is 23%. I am a 37 year old female and I never been in this type of shape ever before. I truly owe it all to the professional and caring trainers at BodyTek Fitness. I would recommend this place to anyone wanting to change there lives forever. Best fitness class ever! Has done more for me in 2 months than 12 at a regular gym. Love it! It is truly a family atmosphere where everyone helps you reach your goals. The trainers get to know you and help you every step of the way. I joined BodyTek 8 months ago and I feel like it’s stripped 10 years off my age! It’s amazing how this intense workout actually gives you more energy throughout the day. All of the instructors are exceptionally knowledgeable, friendly, and engaged the entire workout. I love that each workout is different, each instructor has their own style, and everyone taking the class motivates each other in various ways.